33kg galvanized ROCNA anchor. Original Kiwi design and manufactured right here in Canada. 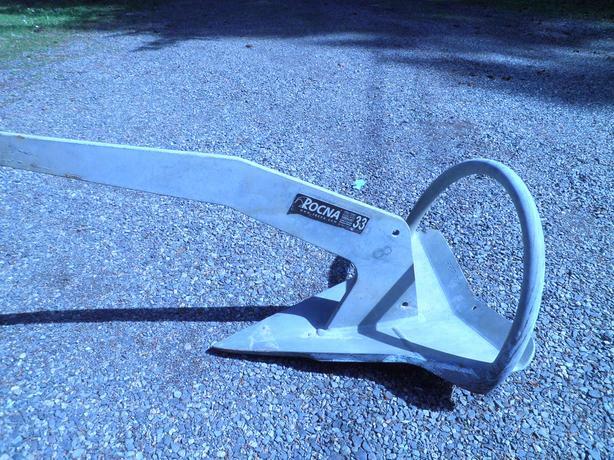 Absolutely bomb-proof anchor: Deployment, set, holding, and retrieval second to none. Used as best bower on 45' 31,000 lb sailboat on trip to the Bering Sea and back. Will consider delivery to Nanaimo, Vancouver, Campbell River area.